Jeep wants you to think of the updated 2019 Cherokee as a midsize SUV. The company even found some extra luggage space behind the rear seat in an effort to improve its rather unimpressive cargo volume numbers. J.D. Power, however, classifies the Cherokee as a compact SUV, so for the purposes of this review it will be treated as such. 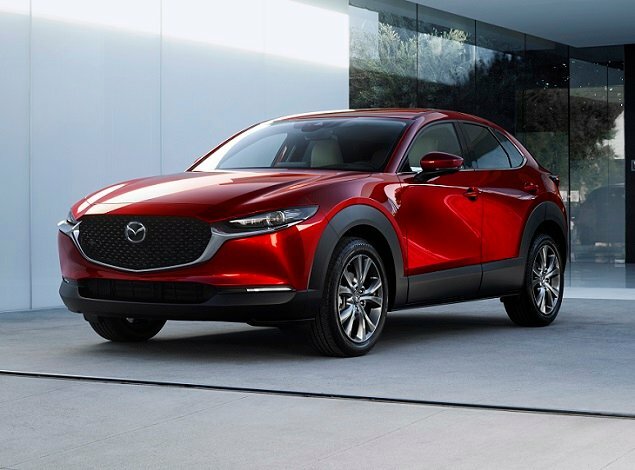 Improvements for the 2019 model year include new front and rear styling, revised wheel designs, upgraded interior detailing, a re-tuned suspension, a new all-wheel-drive system, and next-generation Uconnect infotainment technology. 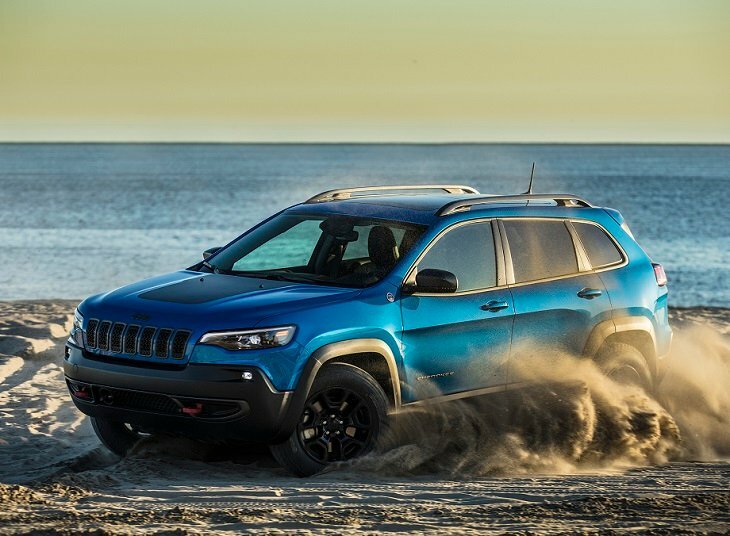 The biggest news, however, is the addition of a new turbocharged 2.0-liter 4-cylinder engine that provides better acceleration and fuel-economy than the Cherokee’s optional 3.2-liter V6 engine. For 2019, the lineup includes Latitude, Latitude Plus, Altitude, High Altitude, Limited, Overland, Trailhawk, and Trailhawk Elite trim levels. Each features front-wheel drive except for the Trailhawk versions, which come standard with the most capable AWD system and other modifications that make them impressively capable off-road. For this review, J.D. Power evaluated a Jeep Cherokee Trailhawk Elite equipped with the new turbocharged 4-cylinder engine, a Technology Group, black aluminum wheels, a navigation system, a premium sound system, and a panoramic sunroof. The price came to $43,620, including the $1,495 destination charge. Before we discuss the results of our evaluation of the updated Jeep Cherokee, it is helpful to understand who bought the previous version of this Compact SUV, and what they liked most and least about their Cherokees. J.D. Power data shows that 52% of Cherokee owners are women, compared to 50% for all Compact SUVs. Cherokee owners are younger than the segment average, with a median age of 53 years compared to 58 years. They’re also less affluent in terms of median annual household income ($82,969 vs. $91,270). Generally, Cherokee owners are aligned with compact SUV owners in terms of their sentiments about vehicle ownership. Naturally, they are more likely to agree that they prefer to buy a vehicle from a domestic company (83% vs. 60%), but aside from this they tend to deviate in areas related to costs. For example, Cherokee owners are more likely to identify as Price Buyers (33% vs. 23% at the segment level). They are also less likely to agree that they’re willing to pay more for a vehicle that is environmentally friendly (50% vs. 57%), and they’re less likely to agree that they’ll pay extra to ensure their vehicle has the latest safety features (75% vs. 79%). At the same time, Cherokee owners are more likely to agree that they prefer a vehicle that stands out from the crowd (75% vs. 65%), which suggests that the 2019 Cherokee’s tamer styling might not prove as appealing. However, Cherokee owners are also more likely to agree that they like a vehicle with responsive handling and powerful acceleration (92% vs. 88%), which bodes well for the new optional turbocharged 4-cylinder engine. Owners report that their favorite things about the Cherokee are (in descending order) the interior design, exterior styling, driving dynamics, visibility and safety, and seats. Owners indicate that their least favorite things about the Cherokee are (in descending order) the storage and space, infotainment system, climate system, engine/transmission, and fuel economy. In the sections that follow, our expert provides his own perceptions about how the Jeep Cherokee measures up in each of the 10 categories that comprise the 2018 APEAL Study. Cherokee owners liked the way last year’s model looked, and they’re far more likely than a typical compact SUV owner to prefer a vehicle that stands out from the crowd. This could mean that the 2019 Cherokee’s styling update, which adopts a familiar Jeep SUV face and a more conventional rear design, might backfire. Personally, I agree with 2018 Cherokee owners. The SUV’s distinctive styling might have elicited love/hate response, but the people who bought the Cherokee liked the looks. So did I. The new 2019 Cherokee might present a more palatable appearance for the masses, but it could also alienate this model’s most ardent fans. Jeep made no more than minor detail changes to the Cherokee’s interior, which is smart considering that owners say it’s their favorite thing about the SUV. Plastic panels and rubber mats make the Trailhawk easy to clean up, while the upper portion of the cabin features soft-touch surfaces and pleasing tones and textures. The only build quality issue I found was a wiggly center console that could be better battened down. Perhaps Cherokee owners would prefer a little more rear legroom, but I find this Jeep quite comfortable. With a wide range of front seat adjustment and a rear bench seat cushion that delivers excellent thigh support and a clear view out, the Cherokee is suitable for a family of four. The Trailhawk Elite test vehicle included remote engine starting, rain-sensing wipers, a windshield wiper de-icer system, heated and ventilated front seats, heated side mirrors, and a heated steering wheel. Clearly, it was ready for winter, summer, and everything in between. Unfortunately, to access the seat and steering wheel heat, you need to use the Uconnect infotainment system. You can, however, configure the screen for easier access to these functions. Remaining climate controls are located low on the center portion of the dashboard, a collection of buttons with a fan-speed knob. During a fall heat wave, the effective air conditioning kept occupants comfortable while the screen for the panoramic sunroof screen kept solar heating to a minimum. The latest version of Fiat Chrysler’s Uconnect infotainment system is standard in the 2019 Cherokee, with either a 7-inch or 8.4-inch touchscreen display. Apple CarPlay and Android Auto are included, and versions with navigation include SiriusXM Guardian services as well as a special off-road performance function. Generally, I’m a fan of Uconnect, and this latest version operates with improved speed and supplies better graphics. Plus, power, volume and tuning knobs, combined with useful controls on the back of the steering wheel spokes, keep screen interaction to a minimum. Toward the end of the week with the Cherokee, in preparation for a photo shoot, I wiped the screen free of fingerprints while Uconnect was up and running. After that, the system seemed to hang from time to time, either failing to respond to input or behaving in unexpected ways. Eventually, though, it seemed to get back to normal. Jeep says it has carved out some extra space in the Cherokee’s cargo hold, but the numbers remain stingy for the compact SUV segment let alone the midsize class. In fact, the Cherokee is less roomy than the less expensive Jeep Compass. Behind the rear seat, the Cherokee supplies 24.6 cu.-ft. of space and if you fold the rear seat down you’ve got 54.9 cu.-ft. If you get the Compass, you’ve got 27.2 cu.-ft. and 59.8 cu.-ft., respectively. And the Compass is available in Trailhawk trim, too. Within the cabin, Jeep supplies lots of little nooks, crannies, bins, slots, and trays for whatever you might bring along for the drive. Thick roof pillars cause visibility problems, and during a mid-day off-roading excursion sun glare and reflection limited visibility on a difficult trail. Cherokee Trailhawk model have a black hood graphic that is designed to cut down on glare; perhaps it needs to be larger. As this review is written, neither the National Highway Traffic Safety Administration nor the Insurance Institute for Highway Safety has rated the 2019 Cherokee for crash-test performance. Additionally, Jeep has not divulged any structural modifications that might have improved the SUV’s performance compared to last year. And the Cherokee definitely needs to improve. For now, then, the jury is out with regard to how safe the Cherokee really is. It does, however, offer numerous driver assistance and collision avoidance systems that can help prevent an accident in the first place. My test vehicle had them all, and they worked with accuracy. 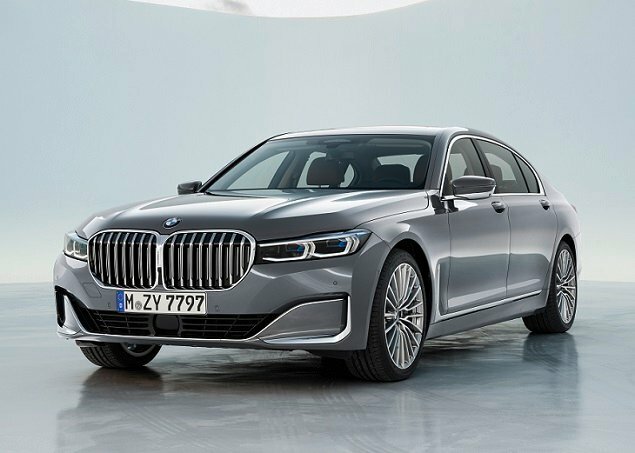 With warnings set to Medium sensitivity, though, the shrill forward collision warning caused momentary fright and the loud blind spot monitoring alert proved irritating. A 2.4-liter 4-cylinder engine powering the front wheels is the standard drivetrain for most Cherokees. Trailhawks come with a 3.2-liter V6 and the most capable of three all-wheel-drive systems. The test vehicle had the new turbocharged 2.0-liter 4-cylinder engine. It makes the same power as the V6 engine (270 horsepower vs. 271) but supplies far more torque (295 lb.-ft. vs. 239). Plus, the torque is available across a broader portion of the rev range. The result is satisfying acceleration combined with 4,000 pounds of towing capacity. Every Cherokee is equipped with a 9-speed automatic transmission. Jeep has been refining this transmission’s shift character for years, and says it has specially enhanced it for use with the turbocharged engine, but work remains to be done. Specifically, in this application with the turbocharged engine, there is an aggravating delay in response when the driver presses on the gas pedal to take advantage of holes in traffic, to overtake slower vehicles, or when accelerating out of a corner. 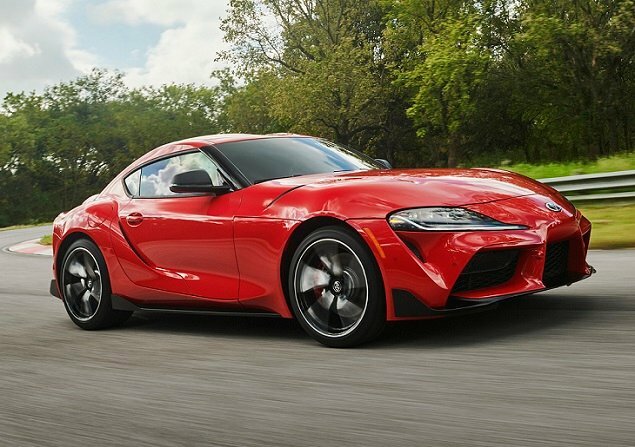 This delay prompts the driver to push harder on the accelerator just as the turbocharged engine whooshes to life, delivering a greater surge of power than expected. Worse, this unexpected surge of power often arrives just as the driver has decided not to change lanes, or to overtake a slower vehicle, or to set up for the next kink in a twisty road, which forces application of the brakes. Using the Selec-Terrain traction system’s control knob, you can choose a Sport driving mode, which resolves some, but not all, of this issue. Unfortunately, based on the instrumentation warning light in the test vehicle, this action simultaneously turns off the stability control system. That makes no sense at all. When a driver decides to use Sport mode, it’s probably a good idea to keep the stability control system on duty. The EPA says that a turbocharged Trailhawk should return 22 mpg in combined driving. I got 19.4 mpg on my testing loop, and by the end of a week of driving the Cherokee returned 20.5 mpg over more than 500 miles of travel. That result, by the way, is about the same as the 3.2-liter V6 returned when I last tested a Cherokee Trailhawk in 2016. One of the best things about the Cherokee Trailhawk is how nimble and fun to drive it is, on or off of the pavement. In the environment where most people spend most of their time, the Trailhawk proves impervious to crumbling infrastructure. With its reworked front and rear fascias, which provide better approach and departure angles, and its 1-inch suspension lift for a total of 8.7 inches of ground clearance, you need not worry as much about straddling road debris, scraping the front end on parking blocks, or damage caused by unseen dips and bumps. Plus, the rugged P245/65R17 Firestone Destination A/T all-terrain tires just bounce through potholes, jounce over cracks, and balloon out far enough to eliminate worry about parallel parking against curbs. With a Cherokee Trailhawk, you’re not concerned about damaging an expensive wheel. Take the Trailhawk into the dirt, and its Active Drive Lock AWD system shines. I had a rare opportunity to put this Cherokee to the test on a difficult trail, and between the mechanical rear axle lock, the Selec-Terrain system, and the hill descent control system, this Jeep proved it could cover ground that most people would never in their right mind attempt. Both the steering and the brakes are calibrated for easy, natural, and predictable behavior. Obviously, you can’t drive a Cherokee Trailhawk like a sports car, but those all-terrain tires offer decent grip on pavement. And while the relatively high center of gravity and off-road suspension tuning can cause some extra head toss and bounce, this is to be expected in a vehicle like this. Despite its new look, new engine option, and new infotainment system, the 2019 Cherokee is much the same as it was last year. Personally, I prefer the styling of the 2018 Cherokee, and I think I actually prefer the 3.2-liter V6 to the new turbocharged 4-cylinder. Upgraded infotainment systems are always welcome, but the spastic behavior Uconnect demonstrated during my final 48 hours with the test Cherokee dented both its usefulness and my impression of it. Whether you agree with me or not, I do recommend the Trailhawk version of the Cherokee even if you’re not planning tough off-road travel. This model’s beefy upgrades work just as well in the city as they do in the backcountry, and without much negative impact on comfort, ride, or efficiency. Plus, in the event you actually need what the Trailhawk provides, it’s there for you, baked right into the Trail Rated emblem on the fender.